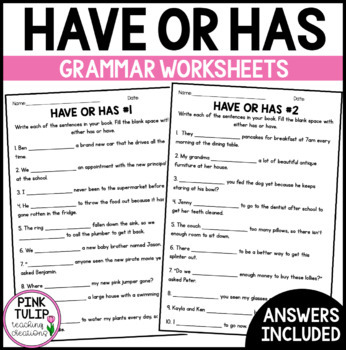 This product includes 2 worksheets to help teach your students to differentiate between have and has. 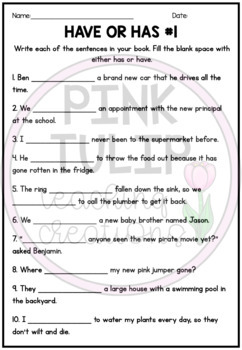 Each worksheet contains 10 sentences where students are required to fill in the blank space with has or have. 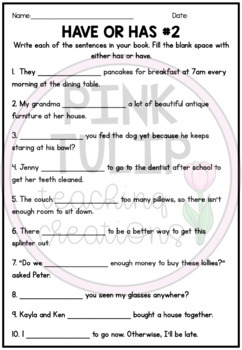 It is recommended that students write each of the words in a sentence in their workbooks to further develop their sentence formation, handwriting and spelling. $1 deals were created because, as a teacher, I understand the frustration of finding the perfect worksheet for your class, only to discover it is part of a worksheet pack and you are unable to obtain the specific worksheet that you want without purchasing the entire product. 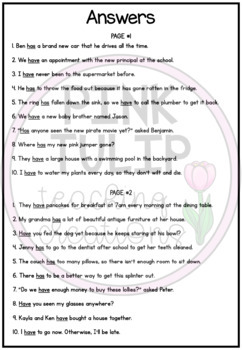 Each of these $1 deals come from worksheets within my products, they include 2 worksheets on the topic and a page of answers for each worksheet.